Product Description: This walk of fame crystal star award is part of our Nik Meller collection. This optical crystal star award is among the finest we have carried. It has a blue crystal star and clear crystal base. 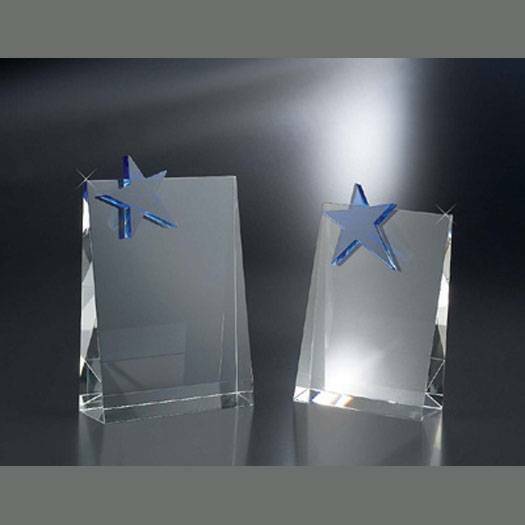 With plenty of room to engrave your text and/or logo on this crystal star award, it is a perfect choice for your special event. Pricing Notes: Text and/or logo engraving on one location is included in the price. Please see options below.